Do the Humpity Hump, it's Wednesday! A lot of you guys have been asking how I've been feeling since the whole ER a few weeks ago and I'm happy to report I'm a lot better. I still have slight aches when bending down too far or lifting heavy objects but all things considered I'm labeling this a win in my book. Best part? I can now pelvic-thrust to my full leisure whenever I receive nail mail. But seriously, thank you for all the love and concern. Today's awesome mid-week post consists of a new collection I know you guys will flip over. Without further ado, let me introduce Sincerely Polish's Disney Fairy inspired Magical Pixie Hollow Collection. This post is covering the entire collection (eight polishes in total) so before you continue on, be warned, this post contains a lot of photos ahead. Fawn is a glitter polish filled with amber micro glitters, as well as, gold and silver holographic glitters. Based on the name-sake fairy Fawn, this polish is absolutely beautiful. The glitter combination is so well mixed to represent the tomboy. This polish is going to look especially amazing in the autumn weather. I cannot wait for that. Swatched on my index and pinky nail over China Glaze's Metro Pollen-Tin. My middle and ring nails are swatched over only a base coat. There is barely any differences with or without the colored base so you can skip the base color and wear it alone. For this swatch, I only used two thin coats for full opacity and I applied each coat using the dabbing method. Formula wise this polish is pretty good, not too thick nor too thin. Considering how glitter heavy this polish is, I was pleasantly surprised with how easy it was to work with. 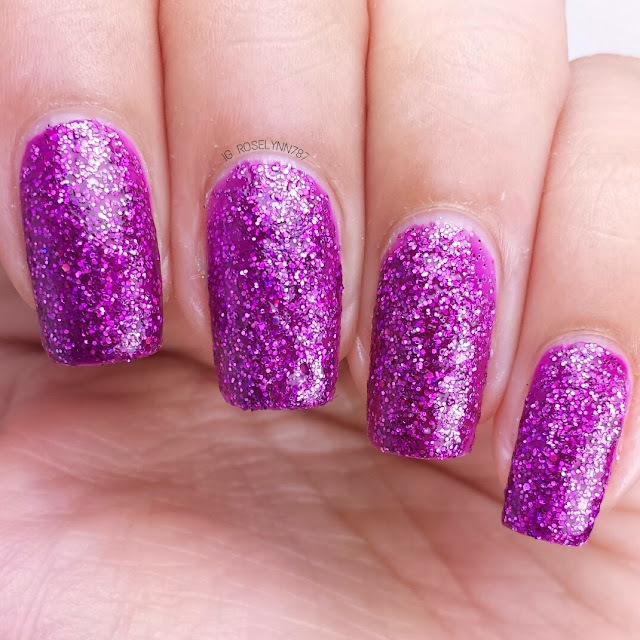 This is so heavily glittered that it almost looks textured so you'll definitely want to add a fast-drying topcoat to smooth down the glitters. 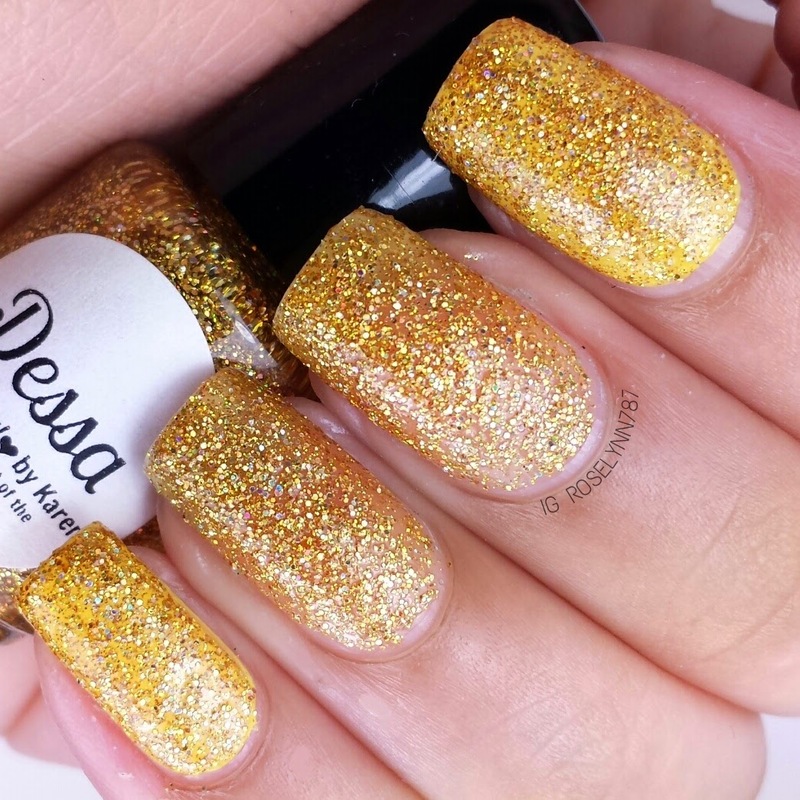 Dessa is a polish filled with golden micro glitters, as well as, holographic gold and silver glitters. 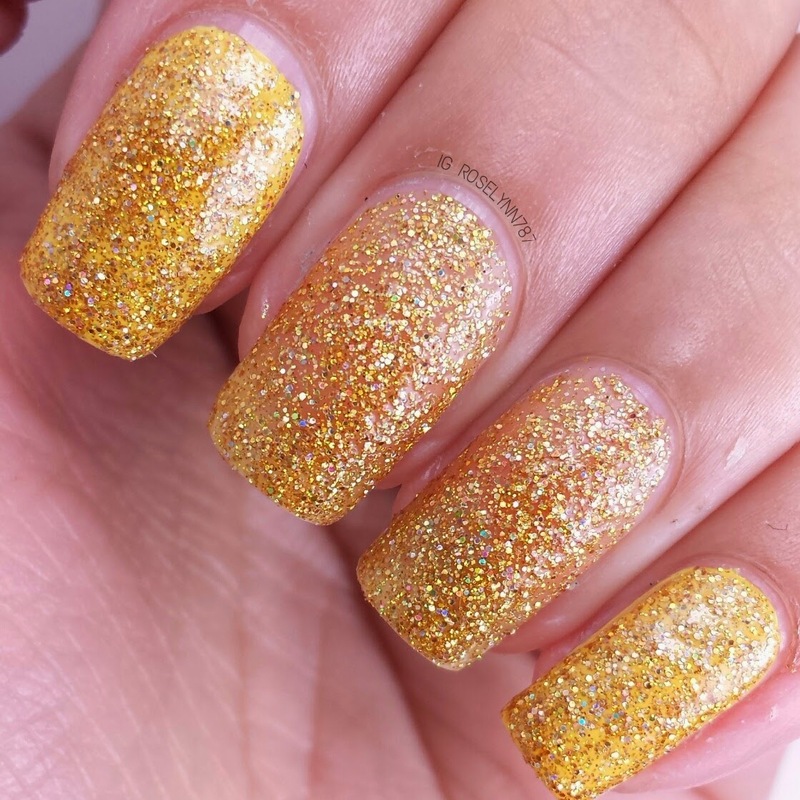 Named after the fairy Iridessa, this polish is the beautiful representation of the sunflower she lives in. Normally I'm not a fan of how yellow-based polishes look on my skin-tone, but in this case I'll have to make an exception. 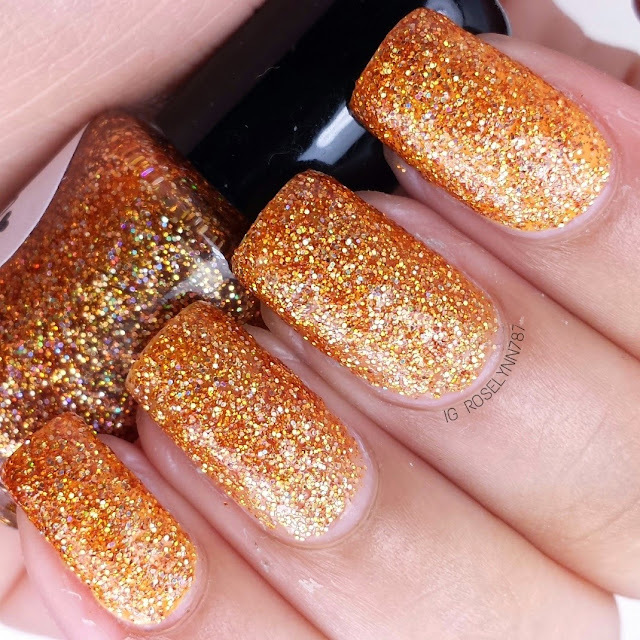 Just like Fawn, I feel this polish is best suited for autumn. I can definitely envision some cute mani's using both of these polishes. Swatched over Julie G's Canary Islands on my index and pinky nails. My middle and ring nails are swatched over only a base coat. Personally, I like the look this has without a colored base added. For this swatch, I only used two three coats for full opacity and I applied each coat using the dabbing method. Same consistency in formula and easy to work with. 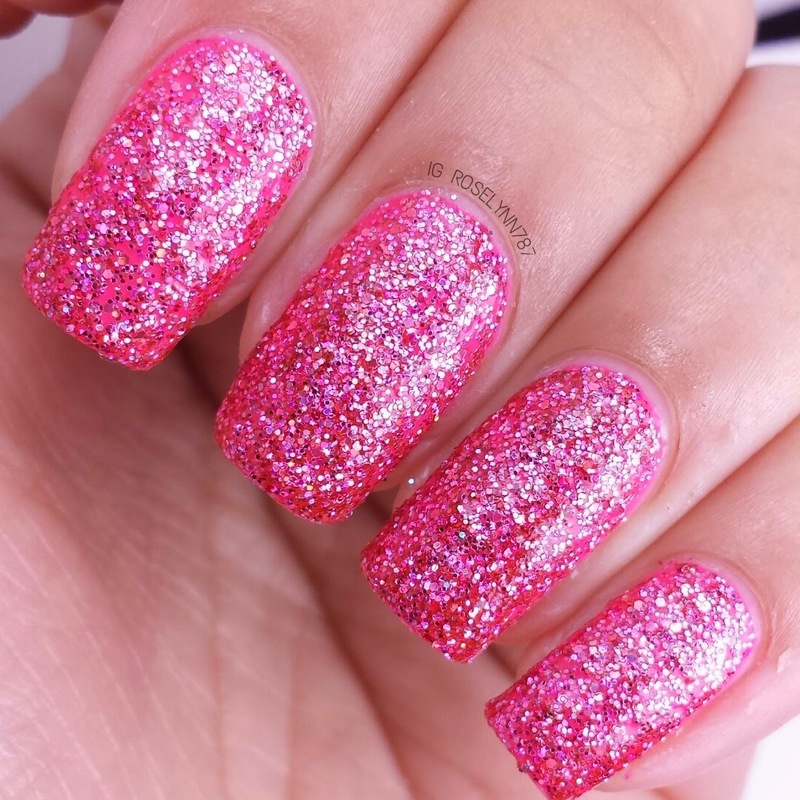 I made sure to add a fast-drying topcoat to seal in those glitters and give it an enhancing gloss finish. 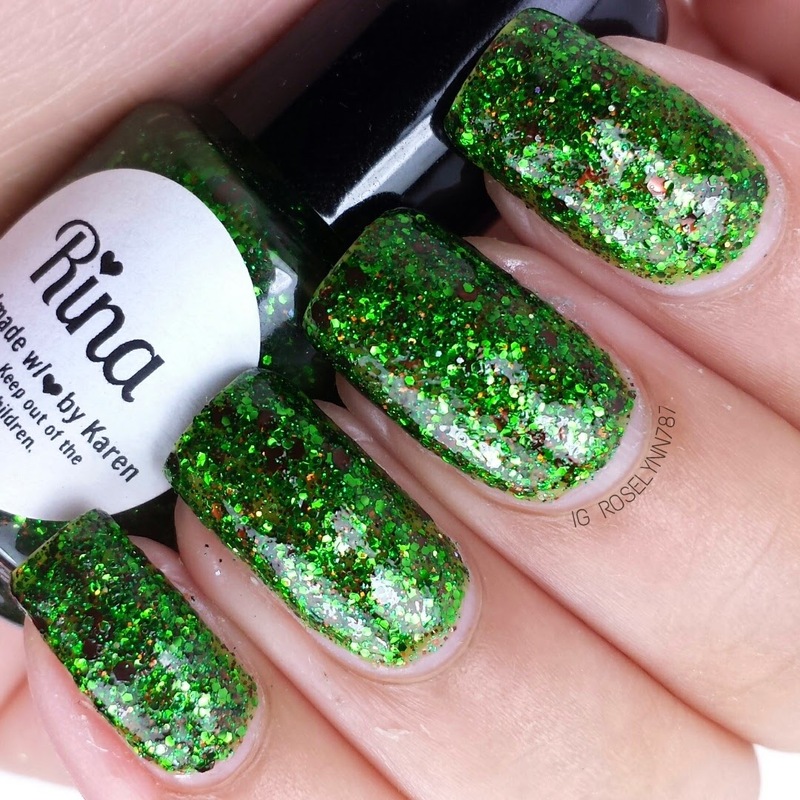 Rina is a jelly based glitter polish filled with different shades of green glitters and a few scattered brown hexes. Is it weird this reminds me of a tree? Fairies do live in tree's after all so maybe not that weird. Based on the fairy Zarina, this polish is definitely the punkish one in the group. 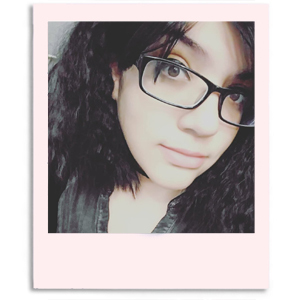 I absolutely love the way it looks against my skin-tone. 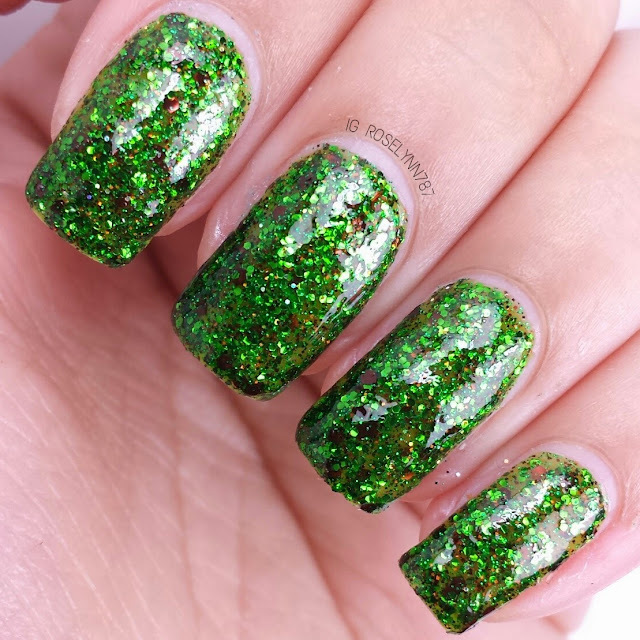 The different shades of green glitters give it a very nice three dimensional feel in person. Definite eye-catcher. Swatched completely over a clear base coat, used two thin coats using the dabbing method, and sealed with a topcoat. The glitters are very well mixed, I did not have to fish out any of the brown ones. The jelly base in his one was a lot more opaque so I felt compelled to swatch it on its own without a color underneath. Only needed two thin coats, though you do have to dab carefully as the formula is just a little bit thicker than the previous two. Don't be alarmed, however, the formula is still very easy to work with especially because you don't need a base color. 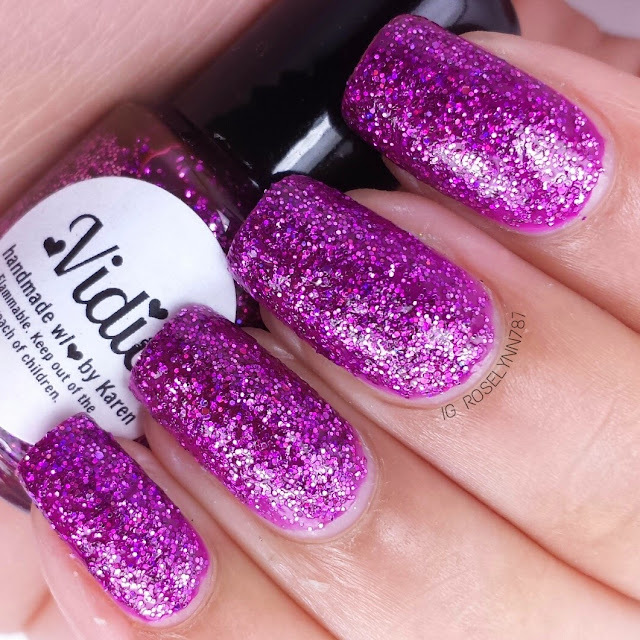 Vidia is a jelly based polish filled with purple micro glitters in different shades, as well as, silver holo glitters and pink micro glitters. Incoming sass! Vidia is based on the name-sake fairy and she's one feisty little... thing. I'll be honest, I almost dropped a curse-word there, haha. 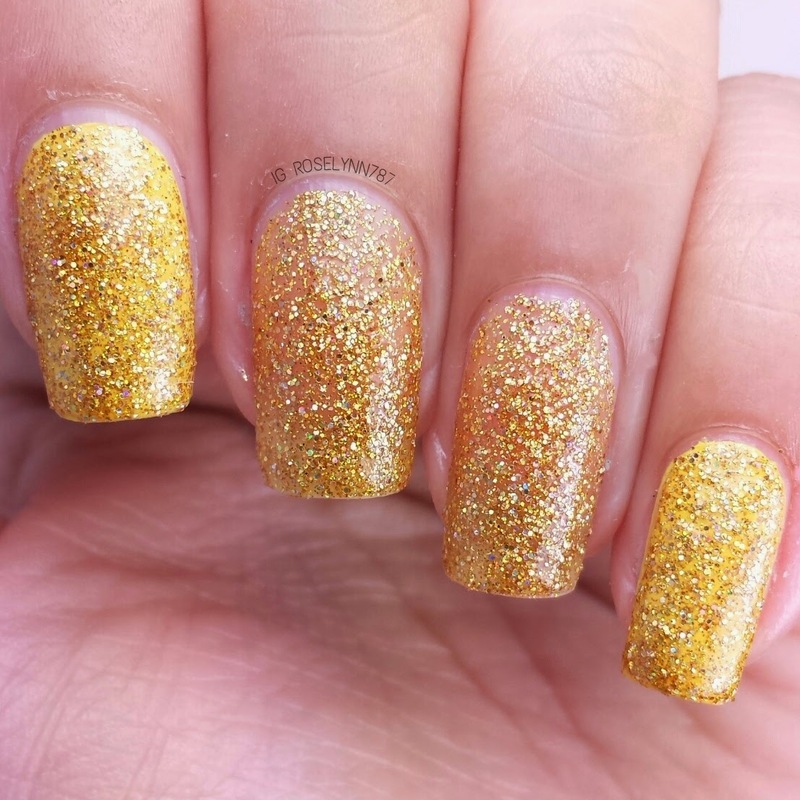 Just like the fairy, this polish is absolute sassiness. I love it and it's one of my favorites in the entire collection. 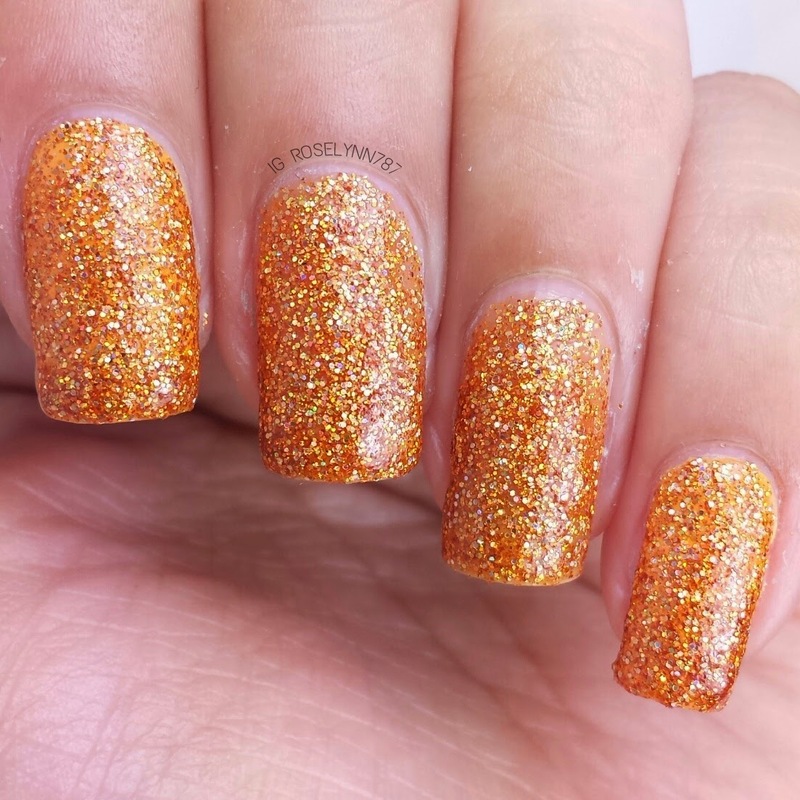 Swatched over Julie G's Rio De Janeiro, used two thin coats, and sealed with a fast-drying topcoat. I decided for this swatch I would do all my nails over a base of similar color. I think it turned out pretty cute but also feel it would of looked just as good without the base color. Like Rina, this polish has more opaque jelly base than some of the others. Without a base color, you'll probably want to do at least three thin coats to get more coverage. As always, make sure you seal with a topcoat. 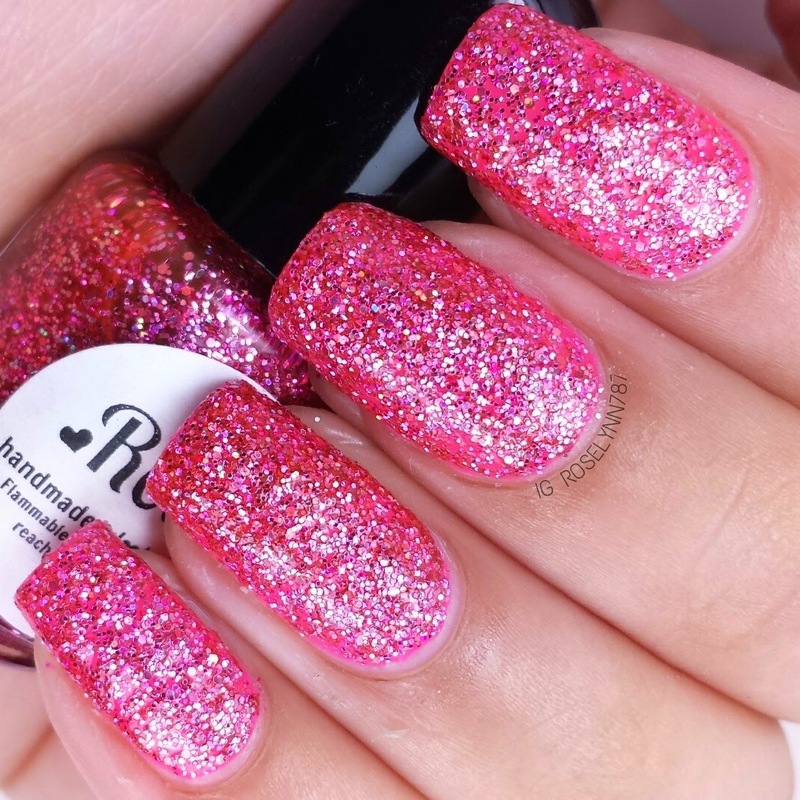 Rose is a jelly based polish filled with pink micro glitters in different shades, as well as, silver holo glitters. Based on the fairy Rosetta, this polish the the super girly-girl of the collection. So I have three picks as favorites in this collection and this would be one of them. 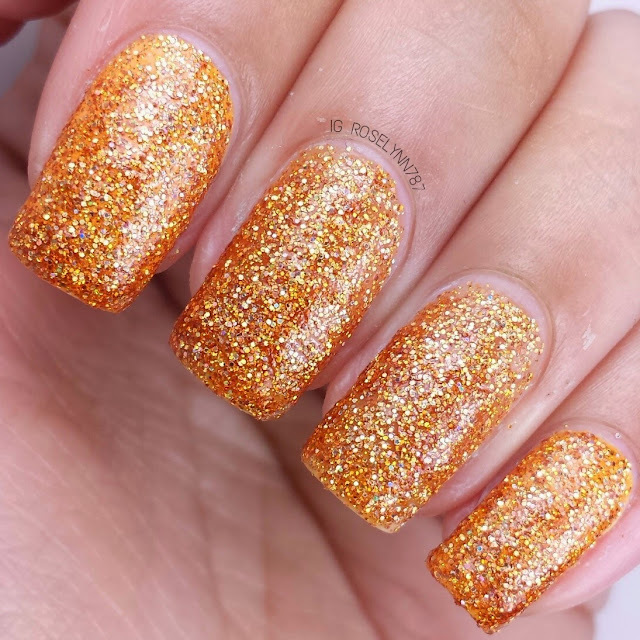 This polish is jaw-dropping gorgeous! The silver and pink play off each other so well and give a very shimmery type of look. Swatched over China Glaze's Peonies and Park Ave, used two thin coats, and sealed with a topcoat. If this were to be used without a base color, then I'd suggest using three thin coats. Formula is consistent with the ones I've already covered, very good and easy to use. It's also worth noting that the the color I swatched it over was a very bright pink, hence making the pink seem a lot brighter in these photos. 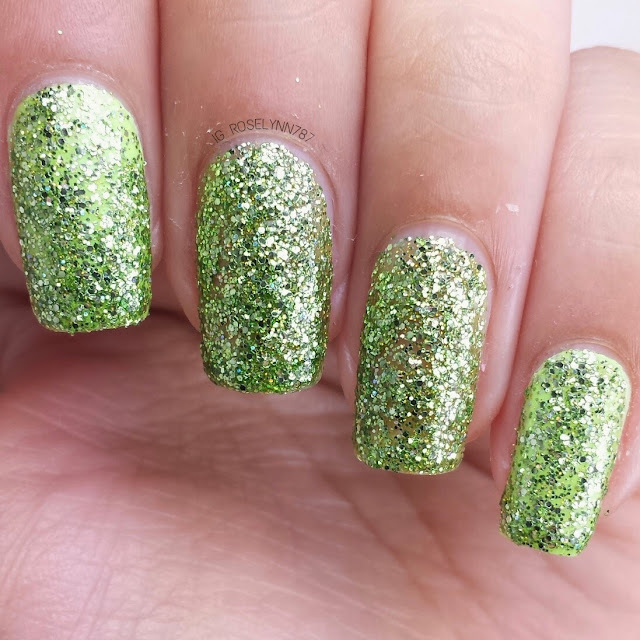 Tinker is a polish filled with lime green micro glitters, as well as, silver and gold holo glitters. Do I really have to tell you who this one is based on? Everyone's favorite fairy, little Tinkerbell of course. Unfortunately I don't think my swatches do this polish justice. I will say, however, that the glitter combination is spot on for our favorite fairy. Swatched my index and pinky nail over China Glaze's Grass is Lime Green. My middle and ring nails are swatched over only a base coat. I do feel this is one of the more sheer glitters polishes in this collection. I used four thin coats on the nails without a base and three thin coats on the nails with a base. 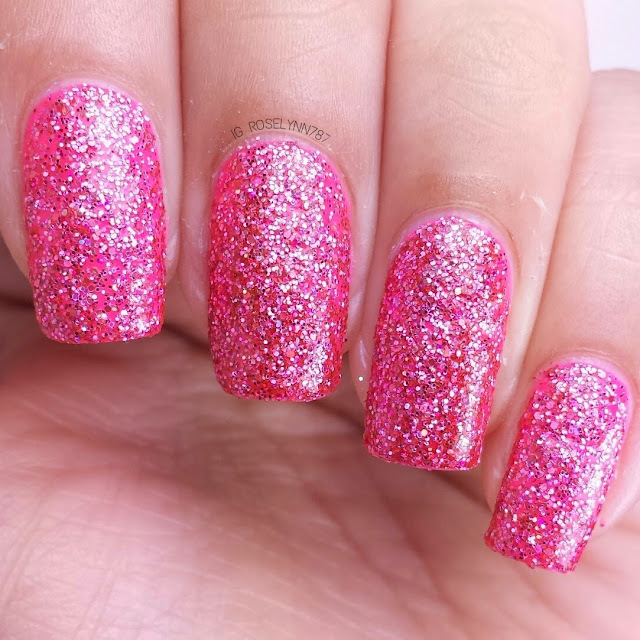 You'll definitely need a fast-drying topcoat to smooth over all the glitters from the layering but also for the dry time. 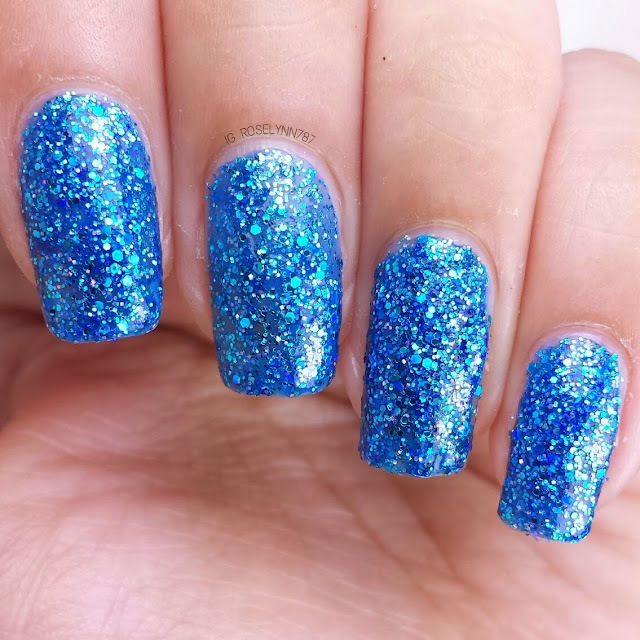 Silv is a blue jelly based polish filled with blue micro glitters in different shades. 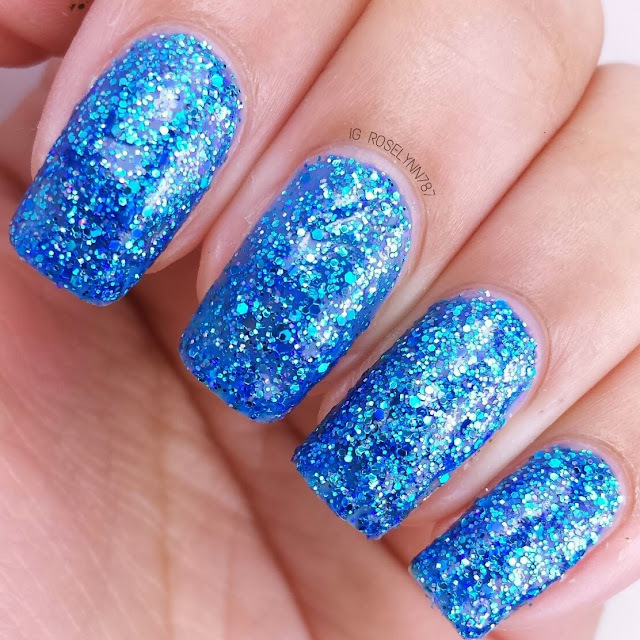 You'll also find this polish is laced with dark blue micro iridescent glitters and silver holo glitters. Based on the fairy named Silvermist, this polish is hands down my favorite of the whole collection. If I had to recommend one, and only one, for you guys to try it would be this one. The fairy that this polish is based on is a water fairy and the iridescent glitters represent that well. I love how sparkly and eye-catching this beauty is. This is another one in the collection where I almost feel it looks textured. Swatched over a clear base coat, used three thin coats, and sealed with a fast-drying topcoat. This one is a lot like Rina when it comes to formula. It is a little bit thicker than the rest but definitely more opaque. I felt three thin coats using the dabbing method was perfect for the amount of coverage I wanted to achieve. I do think that if you wanted, you could get away with only using two coats. Add a nice topcoat to this beauty for an extra glossy finish. 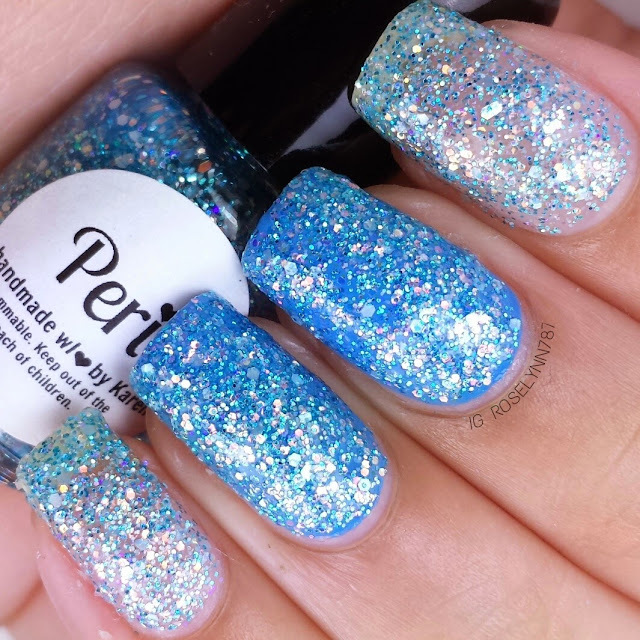 Peri is a polish filled with baby blue micro and matte hex glitters. You'll also find this polish laced with purple iridescent glitters and silver micro holo glitters. 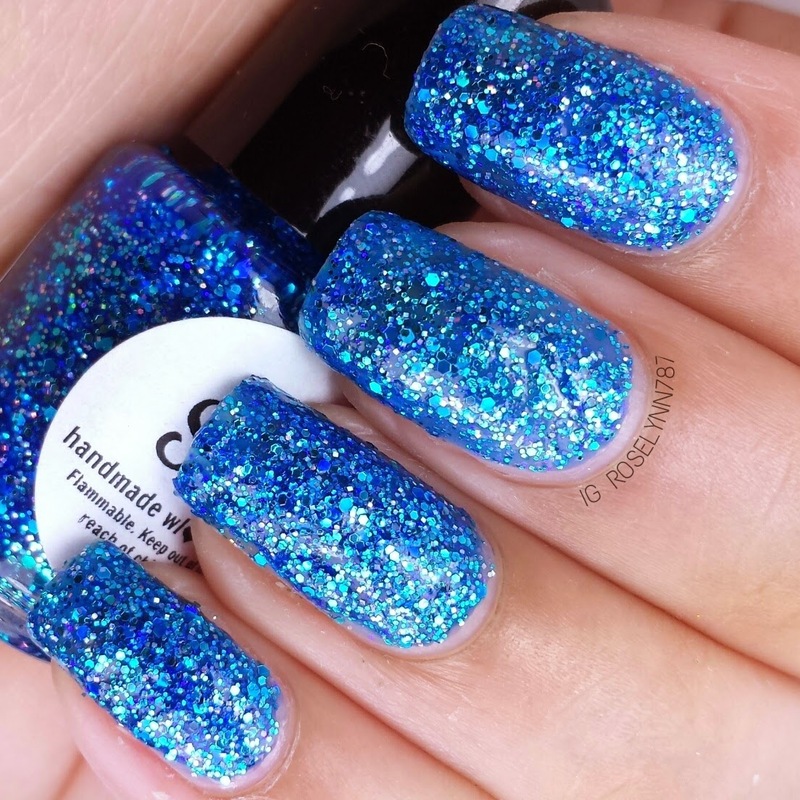 Based on the frosty fairy Periwinkle, this polish is winter perfection on your finger nails. All I keep thinking in my head is "Let It Go" from Frozen when I look at this polish. Again, the iridescent glitters added to this beauty only move it further up the beauty scale. It's such a nice touch! Swatched on my middle two nails over Essie's Avenue Maintain and over just a base coat on my index and pinky nails. I actually LOVE how this looks without a base color. 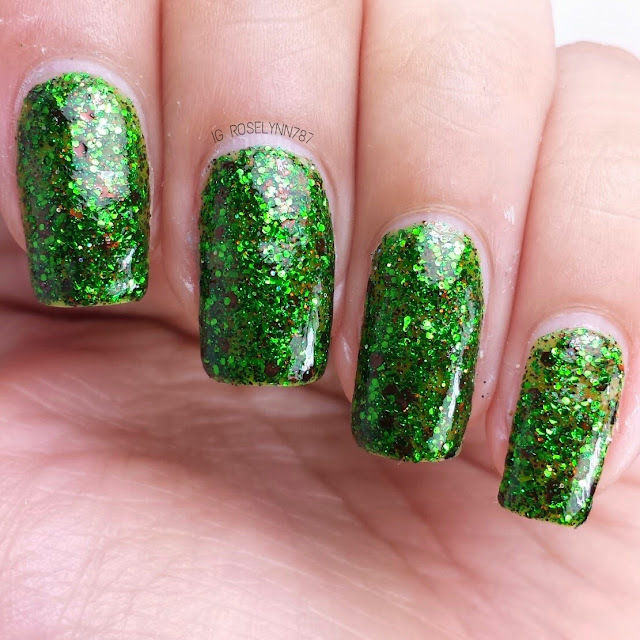 In these photos I swatched the polish only using two thin coats. As you can see it is very sheer without a base, you'd probably need to dab another layer for fuller opacity. Formula was is, again, very consistent. Easy to work with, not too thick nor too thin to apply. Karen from Sincerely Polish has created quite the glitter explosive collection that will knock you ladies right out of your socks. I think the aspect that I was most pleased about was the formula, of course. With mega-glitter heavy polishes, you tend to have a lot of clumping and thickness. This is absolutely not the case in point here. Yes, some are a little thicker in formula than others. But those that are a bit thicker are also more opaque so would require one less layer anyway. Evens out in my book. The color and glitter combinations are exquisite. 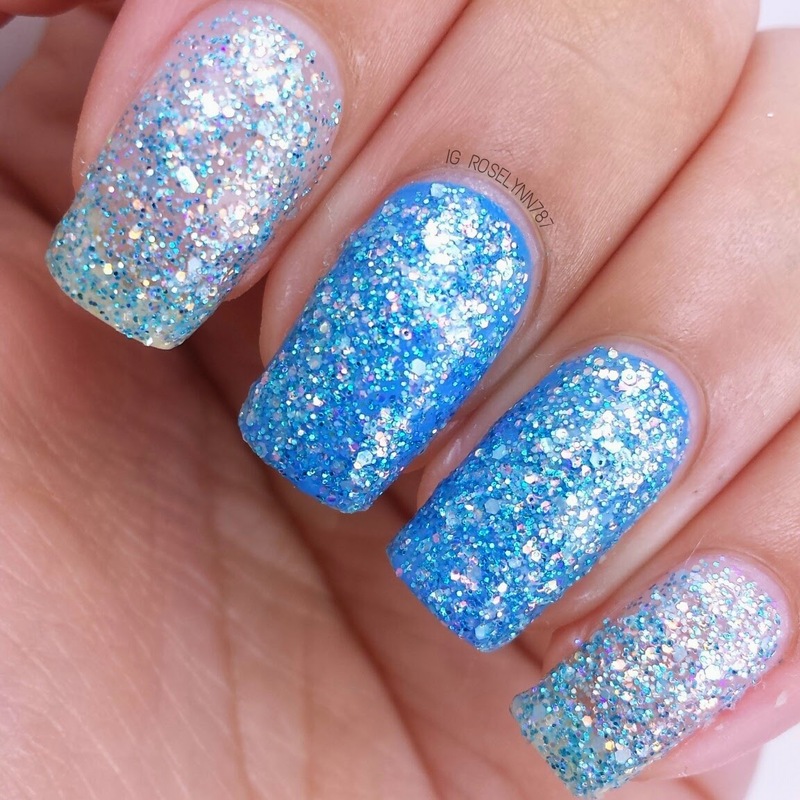 I can totally see each one of those little fairies rocking mani's with these glitters polishes, haha. The Magical Pixie Hollow Fairies Collection by Sincerely Polish is already available to purchase at her store. These polishes retail for $8.50 a bottle for the full and $4.00 a bottle for the mini-size. Go check them out for yourselves, you won't be disappointed. Thanks hun! They look beautiful! !